The second prototype of the twin-seater JF-17B has taken off as per the photos on various Chinese internet sources. 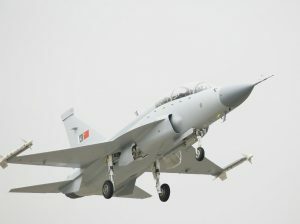 JF-17B has several major design changes compared to the original JF-17. The most obvious change has been the tandem seats, primarily for training purposes. Wingspan is also longer by 0.5m. Other changes include a different vertical stabilizer and dorsal spine. The nose is also slightly larger. Flight controls have been upgraded with three-axis fly-by-wire system. 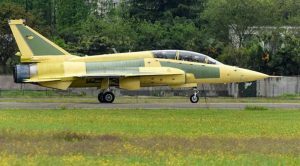 Myanmar is in advanced stages of negotiations to license-build the JF-17 aircrafts. Myanmar Airforce had already decided to purchase 16 JF-17 fighters in 2015. Currently, the Chinese A-5s and F-7Ms fullfill the air combat role in Myanmar Airforce (MAF). 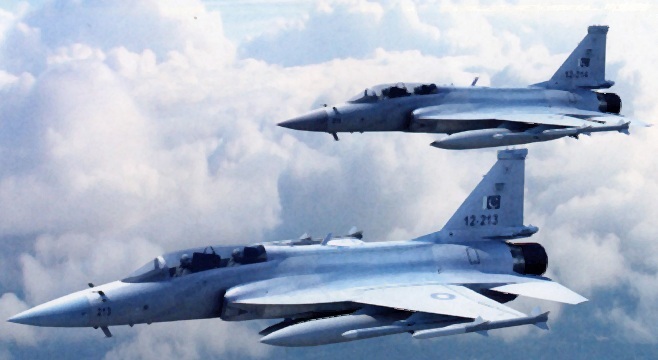 MAF would phase out these obselete fighters with the JF-17 Thunder. 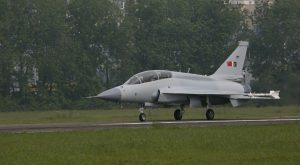 MAF is expected to received the Block II fighters later this year. The country is currently negotiating to procude the Block III variant locally. If the negotiations succeed, it would be a great leap forward for the local industry. Pakistan Air Force second-in-command Muhammad Ashfaque Arain told Reuters in an interview that his visit to Paris was partly aimed at discussing from French officials the prospects of acquiring the Damocles targeting pods for JF-17s. This was in context of the fact the Pakistan continues to be the vanguard in war against terror and the targeting pod will allow JF-17s to share the burden of operations with F-16s against terrorists.